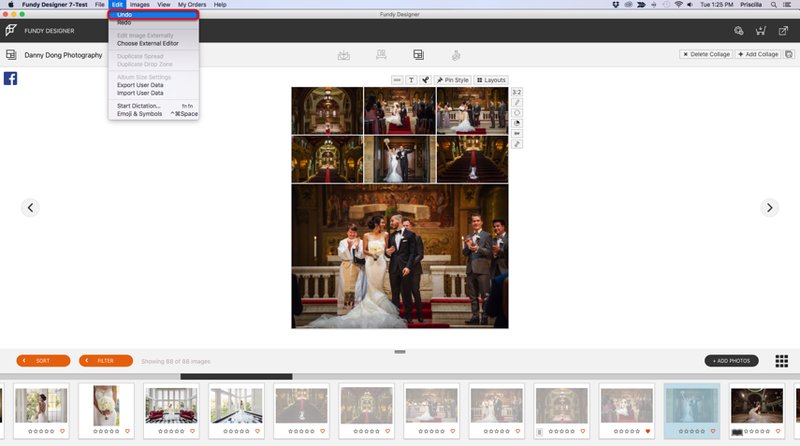 Select the desired group of images with your mouse. Hold down the Shift key for multiple images or the Command/Control key to select individual images. 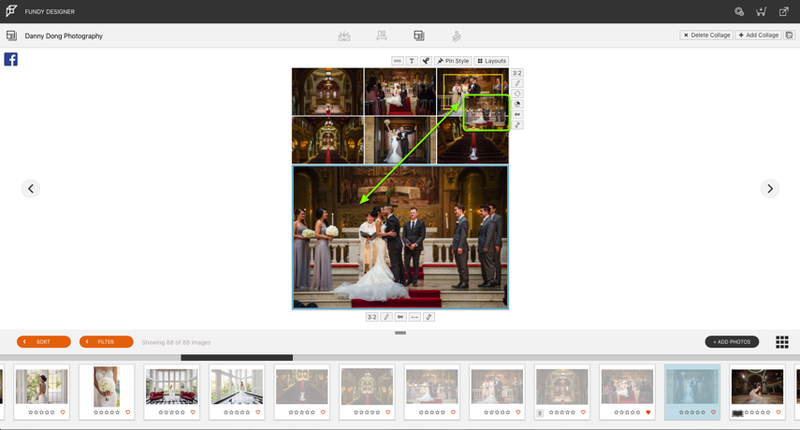 Once selected, drag all the images from the image well onto the design space. All of the selected images will be used in the creation of an auto design. Of course, you have total control over the design. 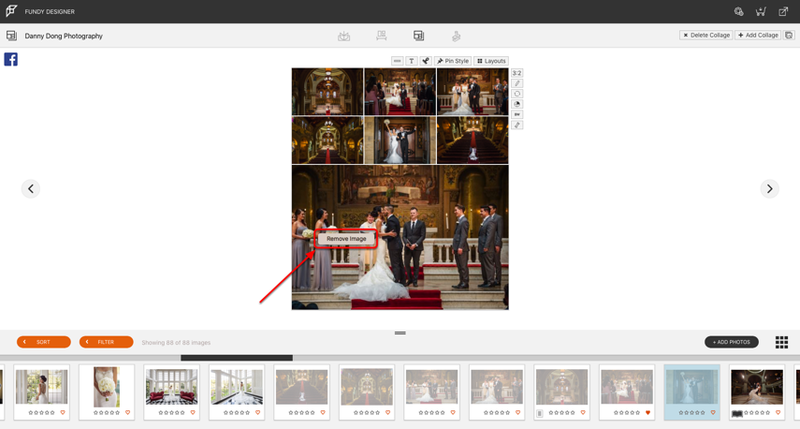 Once you've placed images on a Collage, you can add more images by selecting them from the Thumbnail Window and dragging them onto the Collage. With Drop Zones 2.0, as you hover with your image, you'll see a yellow highlight box appear indicating where the image will be placed. If a yellow square appears over an image, it will swap with the photo you are dragging when you release the image. If a yellow highlight box appears to the top/bottom/left/right of the images in your collage, that is where the image will be placed. The new image(s) will be added to the collage. 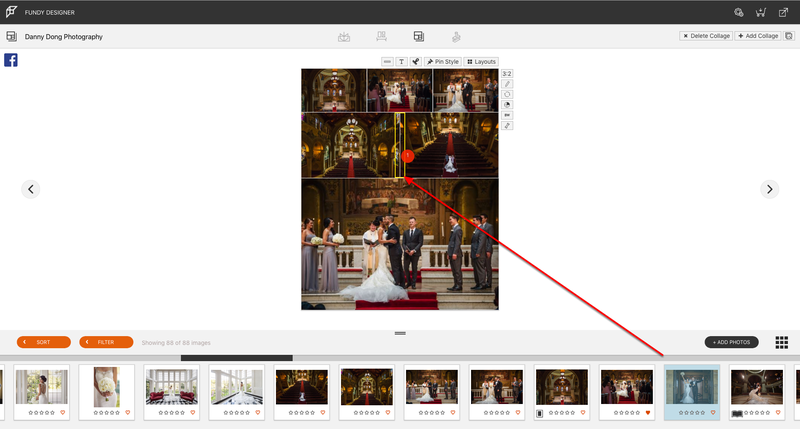 To delete an image from a collage, select the image and click the Delete key on your keyboard. Additionally, you can right-click the image and a contextual menu will appear. 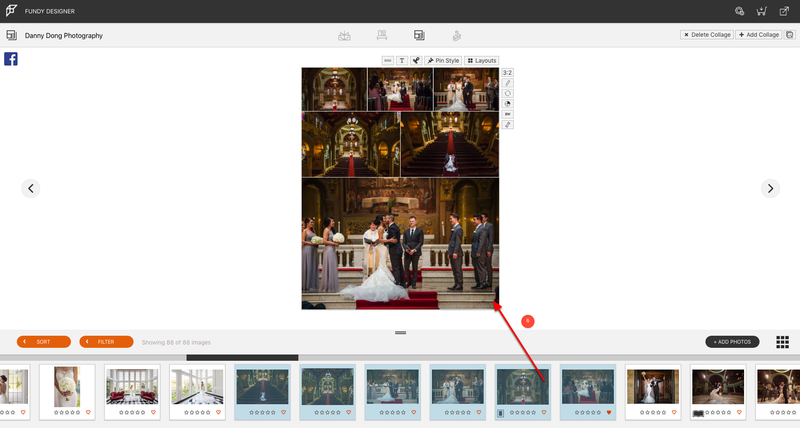 Select "Remove Image" to delete that image from the collage. You can move and swap images in the collage by selecting an image, then dragging and dropping it into its new spot. The image you're swapping it with will display a yellow highlight box. Keep in mind you can see additional options for auto generated designs by clicking the Layouts icon. Keep in mind you can undo changes made in this view by clicking Edit > Undo, or using Command (or Control) + Z.